A lot of people can agree that the Android operating system is pretty awesome. Not only is it great to use, but it’s also free as in open source, so that it can be modified by anyone. 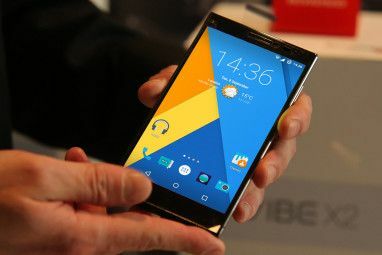 This is why custom ROMs, like CyanogenMod, can exist. But how the heck can you install those ROMs onto your device? This requires a couple of steps, so read carefully! Before we begin, what is a ROM anyways? It’s simply the system that your device runs on. If you haven’t done anything to it yet, then you’re running your device’s stock ROM. CyanogenMod, for example, is known as a custom ROM, as it’s Android with lots of neat tweaks that can only be applied with the entire code sitting in front of you. Changing ROMs requires “flashing” them, which can be seen as writing the ROM to your device’s memory. ROMs need to be made for each specific Android device model, as they all contain different hardware, and must be customized for them. CyanogenMod offers support for plenty of popular devices, but some are still left out because there are so many different Android devices in the market and not all are equally popular or physically capable. So if you’re interested, it’s best to check out their list of devices to see if your device is supported or not. Since each device has a different set of specific instructions, I’ll be generalizing the process from this point onward. If your device is supported by CyanogenMod, you’ll find more specific instructions on what to do on their wiki. The first step is to somehow root your device. When you root a device, you are using some sort of workaround to gain administrative powers on your device. Consumer devices only allow the user to have regular user permissions that are unable to touch system files. However, with root/administrative permissions, you can quite literally do whatever you want on your device, even brick it. 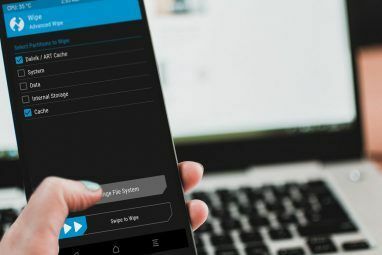 There are multiple ways of doing this, such as exploiting a security hole to give root access (or downgrading to then use the security exploit), flashing a new kernel or recovery onto your phone, or using an application called SuperOneClick. Please note that these are not all the different ways for you to root your device, but rather some examples of what is commonly done to root a device. You will probably need to follow a specific path to root your specific device. Unless the first step automatically includes this, you’ll need to replace your recovery next. The recovery is a little program that you can boot into before the operating system loads so that you can execute recovery-type actions. If this reminds you of Windows’ recovery actions, you’re thinking in the right direction. This step also depends on your device, but usually you’ll end up having ClockworkRecovery installed. The next step is to download the necessary files that you’ll need. This will be the appropriate ROM for your device, the gapps package, and other possible packages such as updated radio drivers. This package includes the Google goodies we all love. It’s separate because of some restrictions on the Google apps themselves, but installing them separately is no issue. Finally, you’ll need to boot into your recovery (how do to that depends on the device), and use it to erase your device and then flash .zip files to it. This is the part where you’re actually doing the installation, so it’s very important to follow all instructions. Make sure that you also install everything in the correct order, as not following the suggested order may brick your device. Once all packages have been installed, reboot the device, wait a couple of minutes, and you should now be in CyanogenMod. I feel that it’s very worthwhile to install CyanogenMod because of the great tweaks that come with it. Additionally, some phones, like the original G1, get much longer support than from the carriers themselves. For example, T-Mobile updated the G1 until Android 1.6, then stopped. With CyanogenMod, I got to go all the way to Android 2.2 before support was finally dropped (and with good reason). If you need any more help with the process, YouTube may be your best resource as you get to see what you need to do. Have you flashed CyanogenMod on your device? How do you like it? Do you have other ROMs that are noteworthy? Let us know in the comments! Does this article apply to Android Tablets (my Galaxy Tab 4) as well? i have rooted my gionee ctrl v2 and want to install a cutom rom in it but i dont know which rom is supported by my phone. please tell me which rom should i download. My phone was dead in start screen with the pic of android and a opened box after using rom manager to install cyanogen mod but there was one thing I had missed that I didn't install clockworkmod.Plz everybody,answer my request how can I install firmware to my ph.Hard reset doesn't work in my ph.My ph is lg optimus one.Thanks a lot to you all. I would also recommend looking into Smoki (doubly so for 6.35 radio HTC Magic 32As) as it is stable and solid. I'm actually a bit of a novice at rooting, but apparently everyone gives this rom a thumbs up without a second thought. Not sure if it covers other devices (Well, Magic 32B and the alternate radio version it does) but it is still worth checking out. for more information on how to install cyanogenmod in android mobile, you can go through the below link and here you will get the all details step by step. i hope this will help you to solve your issue. Oh is that so? I'll have to look then! Thanks! 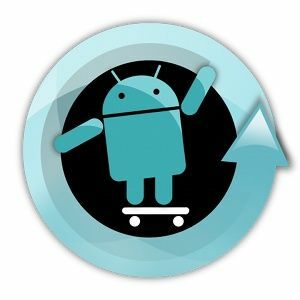 A well designed custom recovery (like clockworkmod) lets you make nandroid backups of your current rom. How do you back up a stock rom? 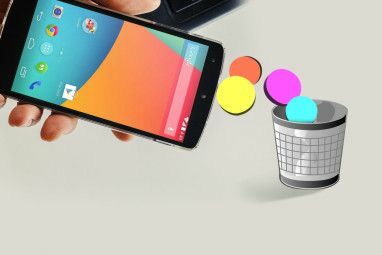 Usually you can do this with Titanium Backup or via the recovery (called a nandroid backup). 1) After rooting, back up everything with Titanium or MyBackup. Better yet, back up everything with both apps. 2) After installing a custom recovery and BEFORE wiping or flashing anything, back up your stock ROM. Too confusing for me, but I'd love to try it maybe it would help me unlock my phone from landscape mode and enable it to connect to a PC, which no other fix except upgrading to another phone has cured. Hi, it looks like you need some help and personally I do not think you'll fix it that way and you may brick your device if you do it wrong, could you let me know please more information about your problem . I admit it's a bit intimidating, especially with all the warnings about bricking your phone posted everywhere. In this case YouTube may be your best bet, because you can see exactly how someone else did it without bricking their phone. No, only Android is open and able to do such things . Just weren't aware of this, but thanks for learning me such thing, it is great you were able to help yourself and yes I like Android so much and glad to know there is another company who don't censor their devices . Any chance of getting the Fully working Nitdroid for N900 using the cyanogenMod ROM? whats the problem with N900 why doesn't it support the Android? cool stuff! could have been better if you ad more screenshots..! The builds mostly look identical to the vanilla Android, so except for some certain areas there's nothing especially exciting. It comes more in the control and performance. If you need some help installing a new recovery, I put together a tutorial on how to install ClockworkMod Touch for free. It's nice having a touch recovery, because your finger won't go numb pressing the volume up/down keys to navigate the recovery menus. It makes the process of installing new ROMs & managing backups a lot faster and easier. If you don't want the touch version, you can download and install ROM Manager for Android, which will install the regular version of ClockworkMod recovery. Wow, I didn't know there was a recovery with touch capabilities! Thanks for the share!